4,000 years ago Abraham walked from his birthplace in Turkey to the Negev Today’s visitors can trace the Palestinian section of Abraham’s footsteps on the Masar Ibrahim al-Khalil. To walk it is to enter deep into the history, antiquities, countryside, and rural village life of Palestinian people. Visitors will experience the peaceful landscapes of terraced olive groves in the northern highlands, the varieties of plants and wildlife – especially the “Palestinian bird flyway”, distinct eco-systems, and geological formations. They might examine ancient holy sites, take meals with a Palestinian family, or sleep in a Bedouin tent. For photographic galleries of numerous sites along the trail, maps, information about tours, guides, and help planning a visit to any part or the entirety of the trail, see Masar Ibrahim al-Khalil and Abraham Path Initiative. The trail is a joint project of Rozana, Siraj Center and thethe Palestine Wildlife Society ..
#1 new walking trail in the world for the year 2014! As an integral member of the Masar Ibrahim initiative, Rozana takes great pride in this honor. 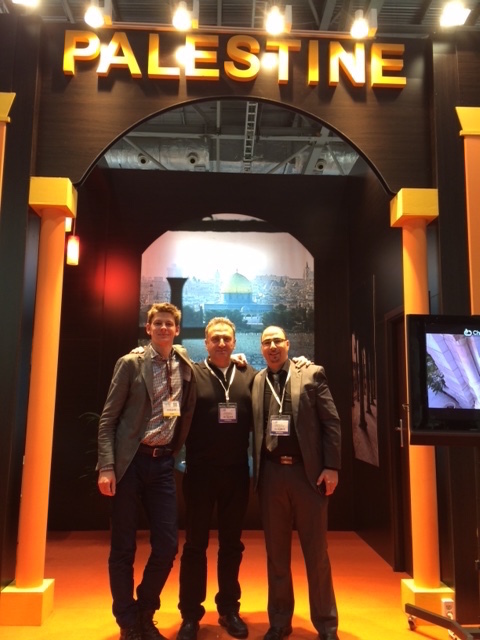 In November 2014 Raed Saadeh, Chair of The Rozana Association, was one of several representing Palestine at the World Travel Market Conference in London, organized by theInternational National Trusts Organization (INTO) and held under the auspices of the U.N. World Tourism Organization. Masar Ibrahim is currently taking part in planning the “#AdventureNEXT Near East”. In May 2017 the Masar Ibrahim staff gave a presentation at a planning session in Jordan on “The Masar Ibrahim as a Platform of Community-based Tourism in Palestine”. The Palestine News Network YouTube describes the work on the trail and highlights some of the archeological sites and scenery along the path.